Well we ended the year with a bang. We added another 18 to our herd and now are sitting at 74 animals. We got a mix of females and males but are especially excited about a 6 year old male we got that has some amazing fiber statistics. 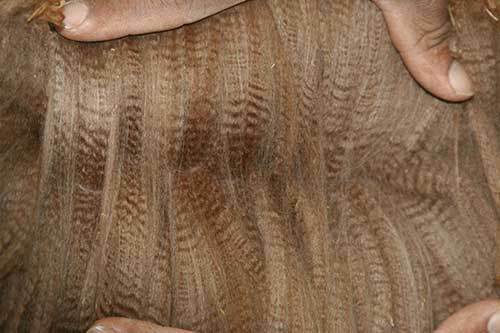 NPA Peruvian Micro has recent statistics in the last year of 16.7 microns, with a comfort factor of 99.4%. He is very dense and going to add some great genetics to our herd here in Texas. 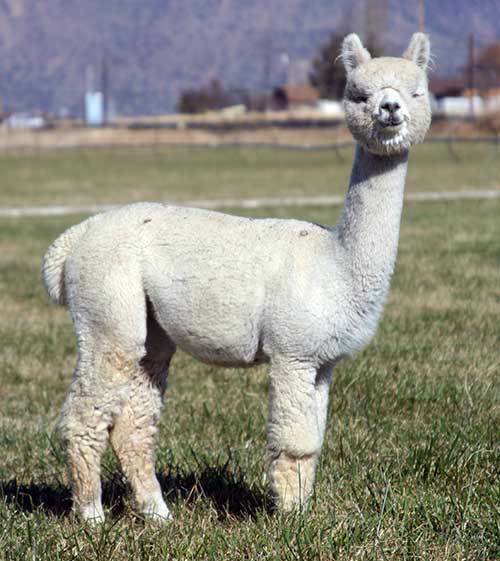 We want to give a big thank you to North Plains Alpacas for helping us in expanding our herd. We are so excited to offer a farm stay now! 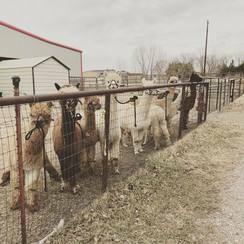 Now visitors can extend their stay and come hang out with the alpacas for a few days. We have a minimum of a 2 day stay and maximum of 5 days. We promise not to give you too many chores to do while you are here. Check out full details on our Airbnb page for pricing and availability. We book up fast and are often booked out 2 months in advance. Our new location, 15 beautiful acres! So thrilled that we found a new location. We have 15 beautiful acres with barns, a covered arena, and a tiny house. 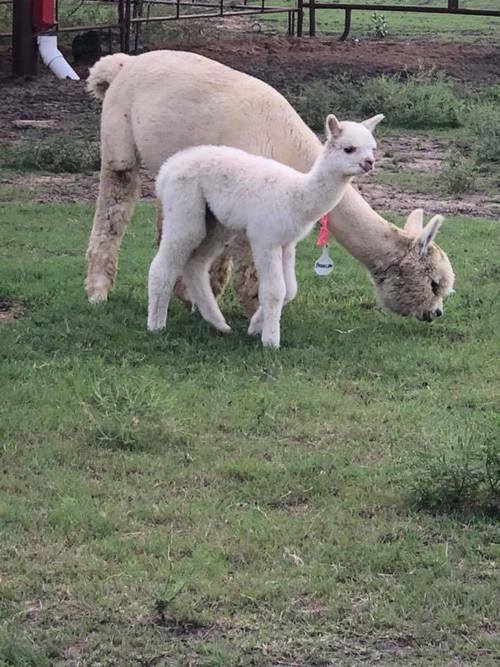 The alpacas are getting used to the Texas weather as are we. Fresh water every day and fans going 24-7. 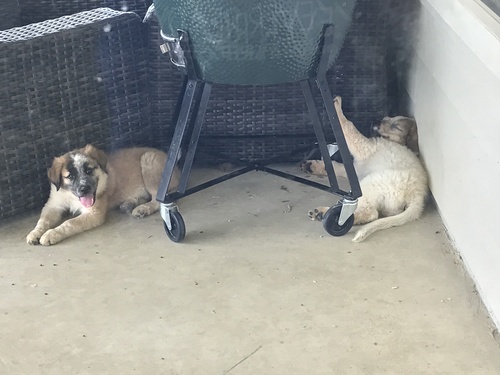 We added 2 new LGDs to the family, Drax and Rocket, who are getting training from our big kids. 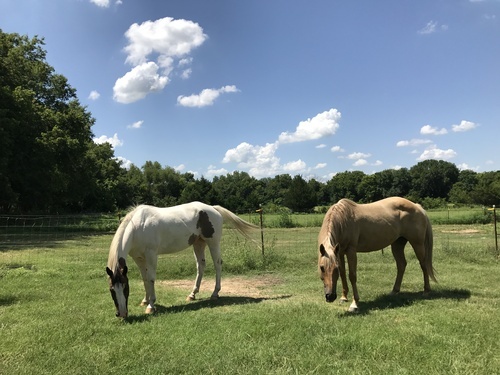 Two new rides have joined the ranch, Daisy and Comanche greet us every morning at the fence for a kiss on the nose. I will be heading back to California soon to pick up our remaining alpacas. A few girls stayed back to finish our their first trimesters. Another gave birth last month. We can't wait to have our entire family back together again. We are looking forward to the upcoming show season, and our 8 expected cria. Bringing California and Oregon genetics to Texas. Howdy Y’all!! We have officially relocated to northern Texas. This move has been in the works for quite a while and is still in progress. We found a cute house on an acre and are looking for more property to put all the alpacas on. We’ve been here for a week and are still waiting for our furniture to arrive. We are making due with microwave meals and our new neighbors loaned us a blow up mattress. Texas hospitality is alive and well. Our alpacas are enjoying a little more time in California while we get everything situated here. We are looking forward to our final show of the season this coming weekend in Portland. I will post all the results from this seasons shows when we get back. 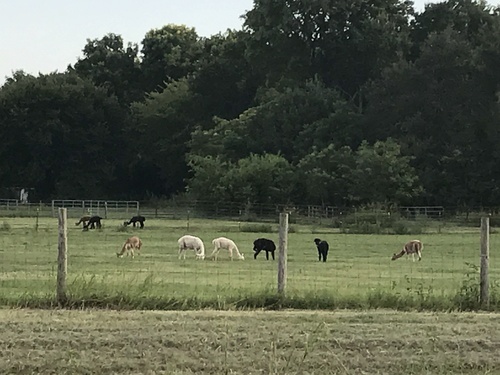 We purchased our foundation herd of alpacas just over a year ago. 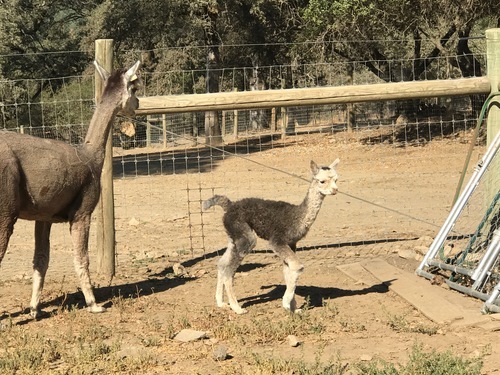 We brought all 7 to the farm in February and by April we were up to 8 with the birth of first cria which our daughter named Marius. Then we purchased half ownership of a Jr. Herdsire with Heart and Soul Alpacas. After attending 3 days of alpaca education in Bend Oregon we purchased a package of 3, so that brought us to 12. Sadly we lost one of our girls that was with cria and so we were down to 10. 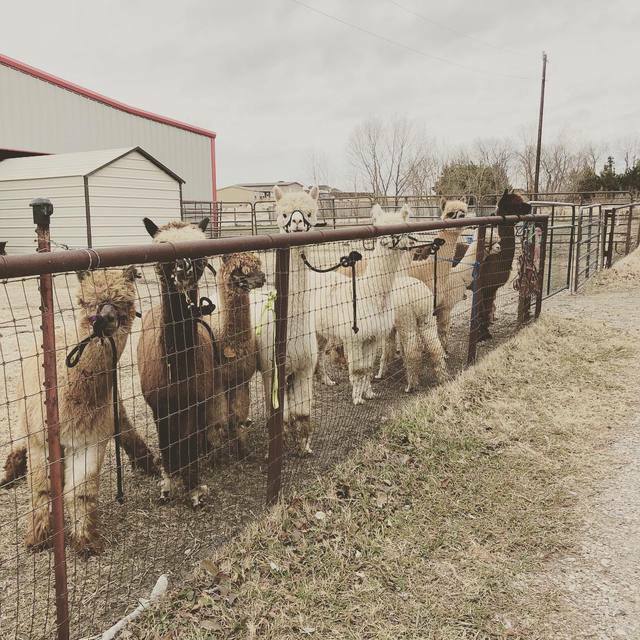 We have been loving our alpacas so much that we decided to acquire an alpaca ranch. 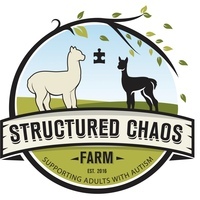 In November we purchased Liberty Oaks Alpacas and brought 17 more alpacas to Structured Chaos. We now have 30 alpacas with one more due any day. We have 18 females and 12 males. 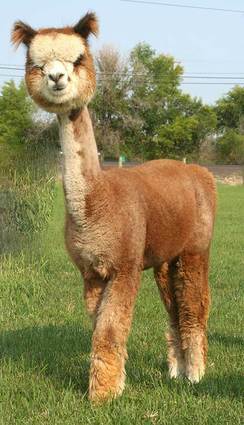 We now have a great foundation herd to start breeding fantastic Alpacas to sell in 2017. Structured Chaos farm is now offering tours with great response. 2017 should be an exciting year, with 5 cria due this year. 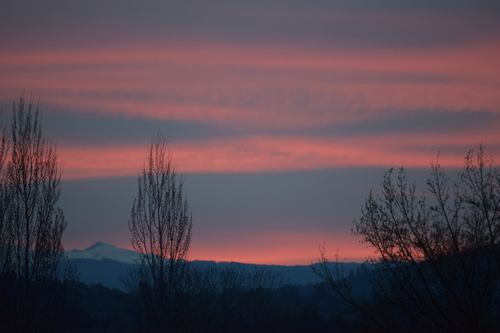 We have 5 alpaca shows to attend and Education With A Destination in Bend, OR. I’m sure there will be many more alpaca adventures this year. We also were excited to have our first piglets born on the farm. Meg and Hamilton gave us 8 healthy piglets that are the cutest things second to the alpacas of course. All piglets have been sold and it looks like we will have another batch in about 3 months. I can’t believe it has already been a year since we started this project. The house remodel is done, the pastures are in, and we have animals on the farm. When we started we weren’t sure which animals we wanted to focus on. 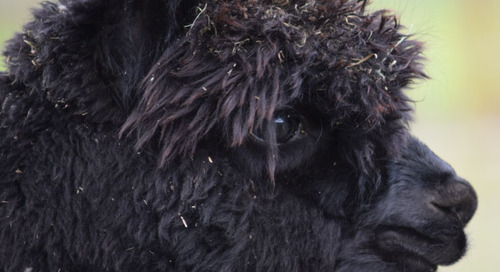 After attending our local Farm Tour last October, I fell in love with alpacas. 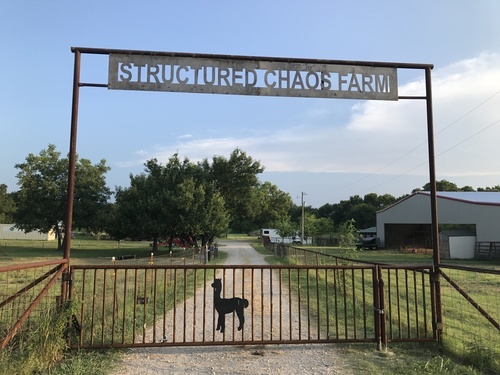 I did a ton of research about alpacas and visited some more alpaca ranches. I finally found what I was looking for at Heart & Soul Alpacas and Spinnery. We wanted animals that were friendly, gentle, and had the ability to become therapy animals. We are now the proud owners of 7 amazing alpacas with potentially 4 more on the way. Well we couldn’t stop their! We now have 20 chicks that will soon be laying in their Eggston Palace, built by my father, where they “chicken in but don’t chick out.” In about 5 weeks our Nigerian Dwarf goats arrive. Last but not least our American Guinea Hogs arrive Friday. I’m so glad that I graduated nursing school now that we have all these fun little animals grazing our farm. I will have more time to keep up with them and updating our blog. Let the CHAOS and beautiful sun rises continue! The day has finally come where we have bought enough land to have a farm. We have 10 acres of land of which 5 acres is flat. The adventure is about to begin on March 1st when we start to build a barn for our future farm animals and put in the irrigation to water our land. We also get to build our dream kitchen to help with all of the wonderful fruits and veggies we plan on growing. 2015 is going to be a great year.